I achieved a Morse code speed of 13 wpm back in 1990 while still living in Oregon. I did it by participating in the West Coast Slow Speed Net. The operator who took our slow speed messages to the high-speed section net was called RN7. Win, a Canadian, was our RN7. Though we never met and shook I knew his FIST well. 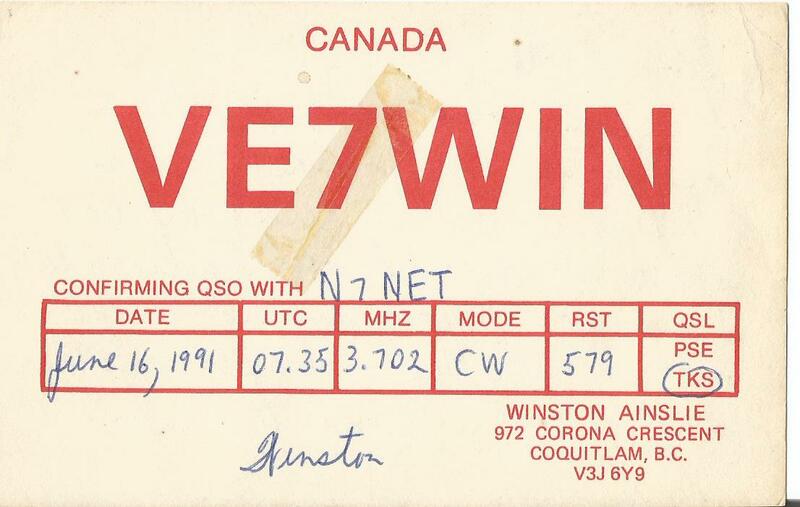 Near midnight on 16 June 1991 while plying 80 meters with a Swan 350 I found Win CQing on 3702, the old net frequency. We chatted for perhaps a half-hour. During this exchange he told me he was operating portable from a family owned cabin located the Northwest Territories. 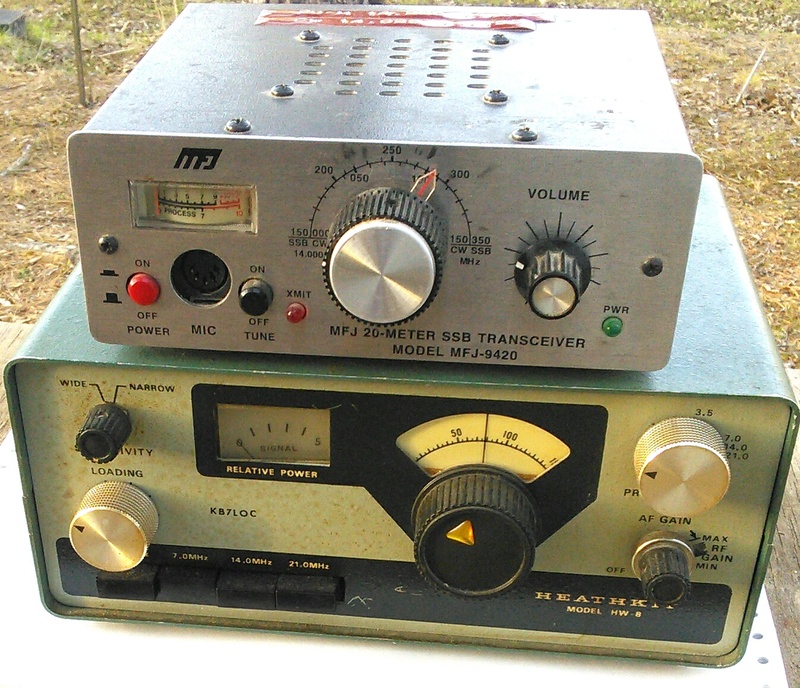 He was using a fistful of D cells, and a Heathkit HW-8 sending one-watt going to an inverted V antenna.